Hey there, friends! Did you know that on July 27, there is going to be a lunar eclipse seen in the Indian subcontinent? 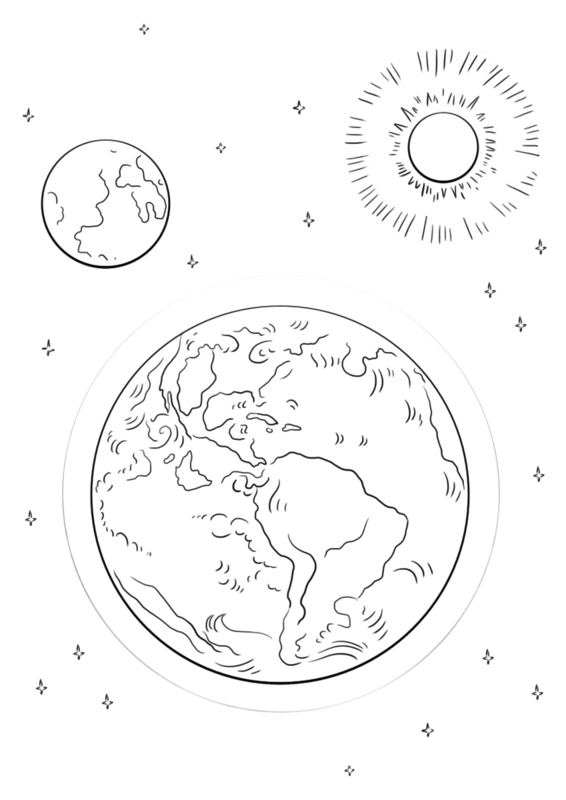 Naturally, we thought why not give you some coloring pages for this glorious event. A lunar eclipse is an event which occurs when the earth is placed exactly in the middle of the sun and the moon. This makes the color of the moon appear reddish-orange. 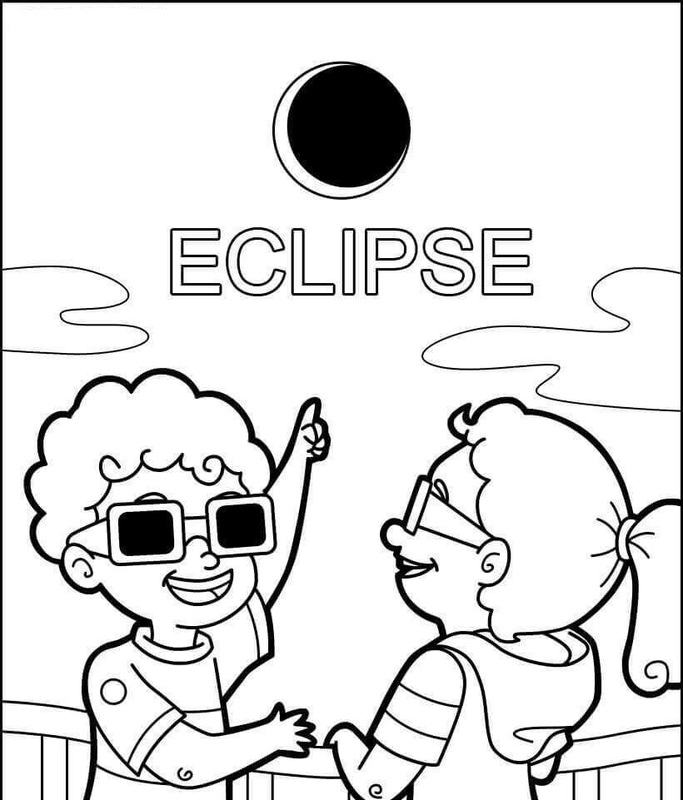 So, get the crayons out and be ready for free printable eclipse coloring pages. 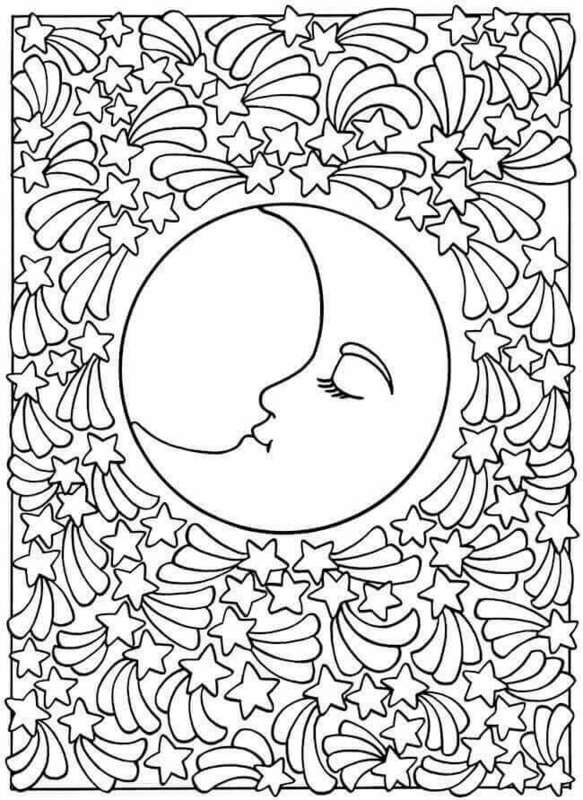 We’ve got both solar and lunar eclipse coloring pages for you. Take a look! 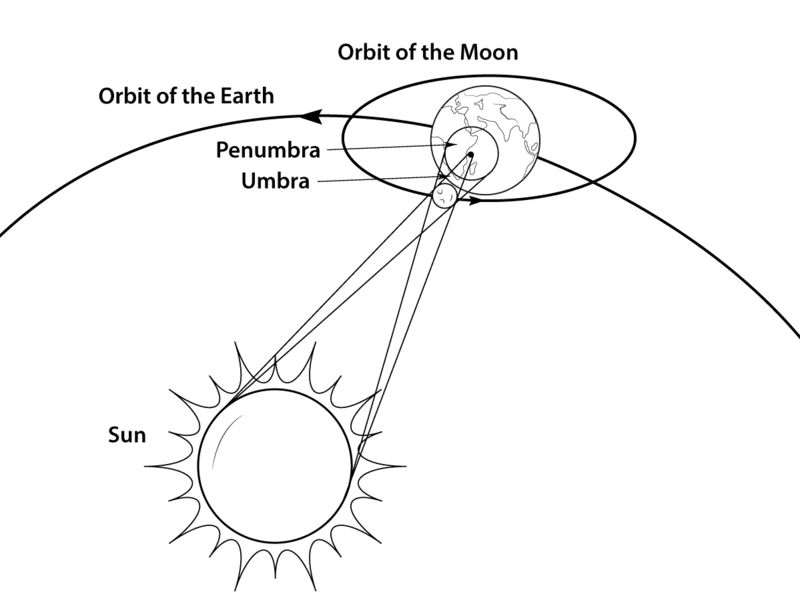 The Lunar Eclipse mainly consists of three celestial objects – the sun, the moon, and the planet earth. Without these three essential heavenly bodies, Lunar eclipse cannot occur. 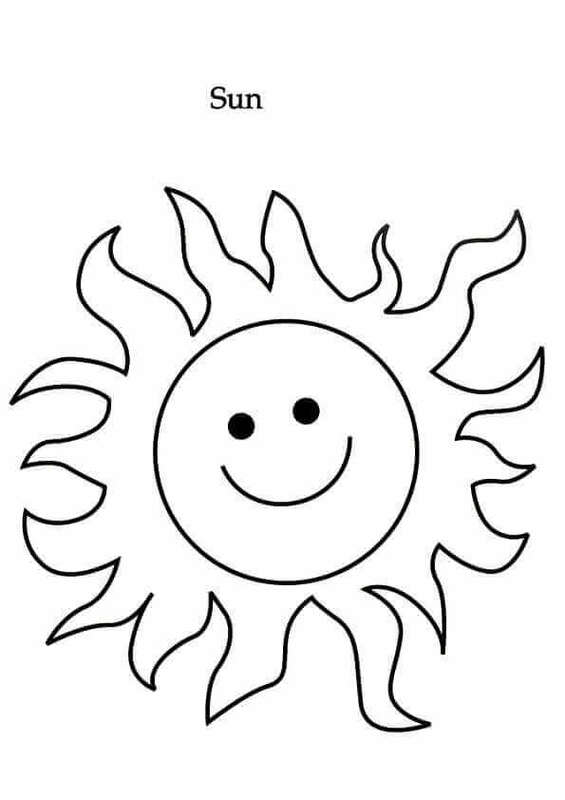 This image has each of these three objects, and you must color them to perfection so that you can see a perfect Lunar eclipse on July the 27th. Here are some of the many unlimited objects that can be found roaming in the space. Can you name each of them? I can spot a rocket, a galaxy, a UFO, some planets, and some stars! Think about what part do each play in the universe, while giving them some colors! Here is our home, the planet earth! Can you see your house from out here? Earth is the third planet from the sun, one of the eight planets in the solar system. It is the only known planet that can sustain life. On the 27th of July, this very planet – earth – is going to be just in the middle of our moon and sun. Don’t miss the view that precious night! 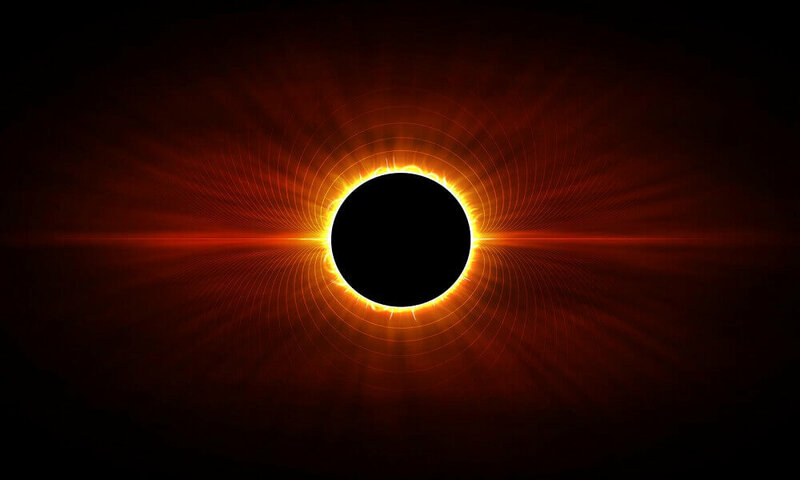 Just like the earth comes in the middle of sun and moon in the lunar eclipse, the moon comes in the middle of earth and sun in solar eclipse. Meet Janet. When he grows up, he wants to be an astronaut, and he is very interesting seeing this solar eclipse with his friend. Color him cute. Here is moon already asleep in the night. The moon is one of the most interesting objects that we humans see in the night sky. Without the moon, there is no glory in the night! 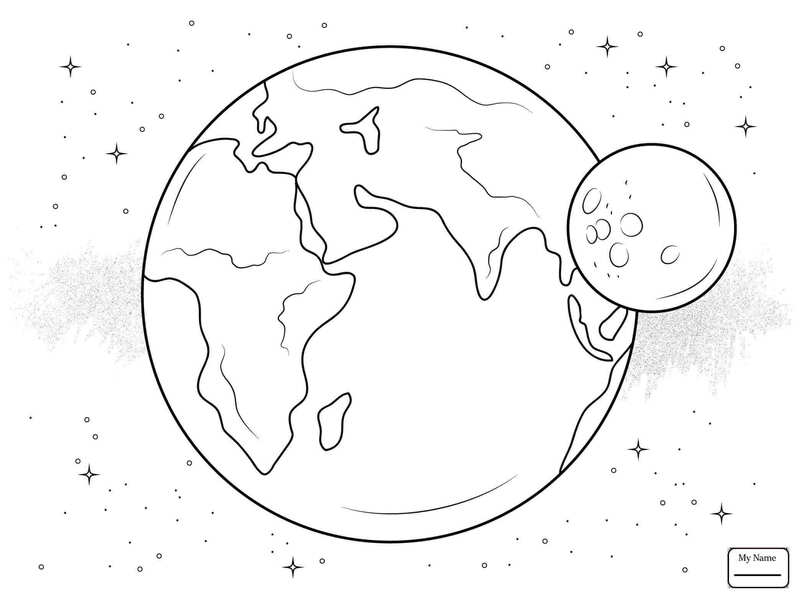 Color this moon beautifully to make it realize your affection! This image shows exactly what happens in a solar eclipse. As you can see, the moon is revolving around the earth, and the earth is revolving around the sun. When the moon is in such a position that it directly obstructs the light coming from the sun on the earth, it is known as the solar eclipse. Can you notice the area mentions Umbra? At that location, there is no light even in the day! Color this scientific diagram to perfection and share with the world what you know about Solar Eclipse! 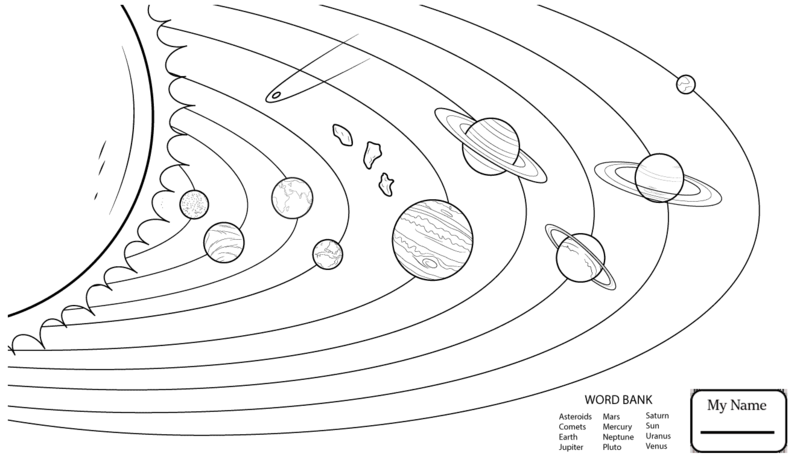 Here is the diagram of our solar system. The first planet – the smallest one – is known as Mercury. In mercury, the side which faces the sun is extremely hot, while the side that does not face the sun is extremely cold! The second planet is Venus, which has volcanoes erupting all the time! The third planet is earth, where you live with all other living things. The fourth planet is Mars, which is known as the red planet as it is surrounding with red mud throughout its surface. The fifth planet is Jupiter, the biggest planet in our solar system. Next is Saturn, with its beautiful rings. Seventh is Uranus, which is blue in color and has faint rings. Finally, Neptune, which is also blue, but it is known to be tilted by its axis. Add some hues to each of these planets with their suitable colors. Here is an image of our earth and the moon. Just like the day is incomplete without the sun, the night seems lonely without the moon. As for the moon, it would have no home if there were not earth! They both are better off together. Color them using your expert skills! Sun is the key to life. Without the sun, there are no planets, no solar system, and no life (which means you don’t get to color)! The sun is extremely important to us. Not only does it give us the warmth required for life, it also helps us in generating energy for producing electricity. Color the inner sun dark orange, and its outer flares yellow to make it look energetic and magnificent as always. Here is the creepy snake Apep. 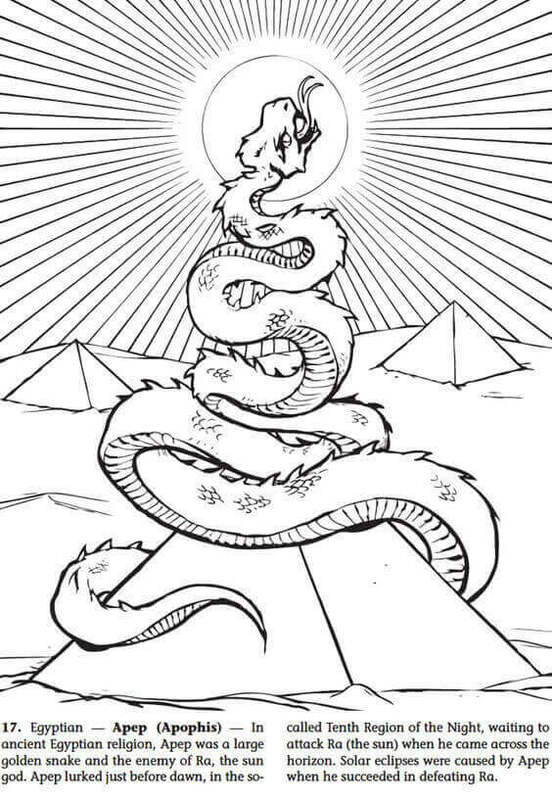 Apep was the enemy of the Egyptian sun god – Ra. Apep was very dangerous and used to block the sunlight that reached the Egyptian villages, therefore casting them into its shadow. God Ra used the power of eclipse to beat this demon. Color this image flamboyantly. Hope you liked our solar and lunar eclipse coloring pictures to print. 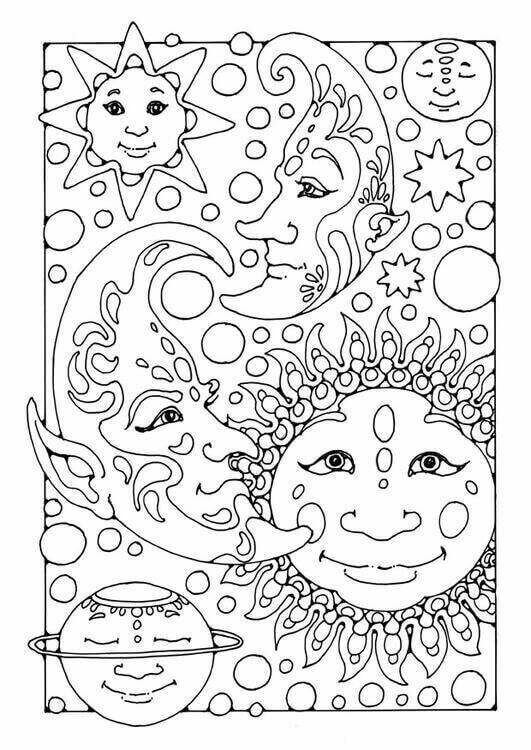 For more such awesome coloring pages, stay tuned with us. In the meantime, check out our Jurassic World coloring pages as well.